Samsung has today announced another addition to its Galaxy range of smartphones with the launch of the Samsung Galaxy Chat. 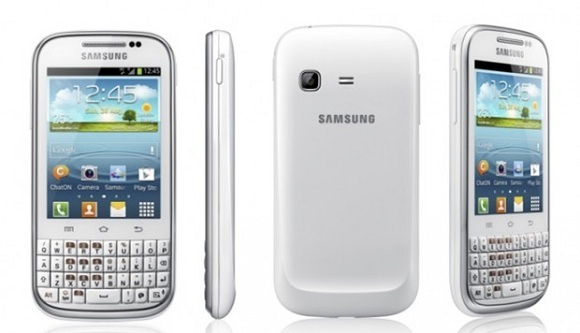 The Galaxy Chat packs in a 3 inch touchscreen combined with a BlackBerry-like full QWERTY keyboard which has been brought in keeping in mind, the amount of time smartphone users spend sharing and chatting with their friends and family. The Galaxy Chat also arrives with a dedicated key to launch Samsung’s ChatON messenger which lets users to connect with their friends just at a click of the button. Galaxy Chat runs on Android 4.0 Ice Cream Sandwich and packs in the following specs. The Galaxy Chat is arriving first in Spain from this July. Later on it will see a gradual rollout to Europe, Latin America, Middle East, China, Southeast Asia, and Southwest Asia. Samsung has not unveiled the price of the Galaxy Chat.